This month’s Greenhouse Canada Grower Day trade show is already 90 per cent sold out, with 16 days to go before the show. 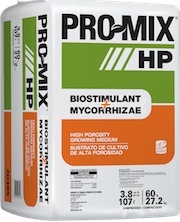 Only with PRO-MIX® BIOSTIMULANT + MYCORRHIZAE™, professional growers get the protection of a high-quality biostimulant working in synergy with the growth enhancement qualities of the only 100% contaminant-free mycorrhizae available in the market, MYCORRHIZAE™ Premier Tech. Nominations sought to recognize tomorrow’s industry leaders. Constant monitoring: an early diagnosis triggers an immediate remedy to nip problems in the bud. Royal Philips, a global leader in lighting, has partnered with Green Sense Farms (GSF), a Chicago-area commercial grower, to develop one of the largest indoor commercial farms using LED grow lights tailored to their specific crops.